For demanding jobs that call for high amperage capabilities, the SAE-400® offers 400 amps for DC stick welding and AC power. 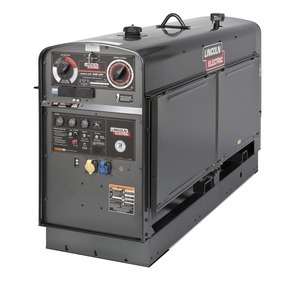 The SAE-400® is powered by a heavy duty Perkins® industrial diesel engine. This engine offers low maintenance and long life. Add CV wire welding with the optional CV Adapter. Euro and NEMA receptacles for 60 Hz AC generator power.